Sweetings Wood Glamping - Hertford, Brickendon | Self catering holidays and short break family holidays in Pods. 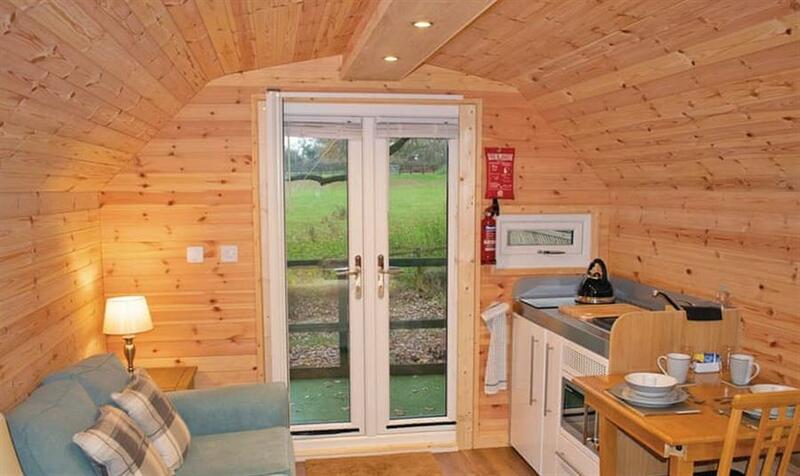 Sweetings Wood Glamping in Brickendon sleeps 2 people, with the accommodation being pods. Sweeting’s Wood is situated in a lovely ancient wood facing open meadows inhabited by local horses. The wildlife is a plenty and you may hear the resident owls hooting during your stay. There’s a charming outdoor deck with seating where you can sit and admire the views. Sweetings Wood offers the luxury that make glamping feel comfortable, peaceful and relaxing. Each lodge sleeps two adults and are furnished with modern king-size pocket sprung double beds, underfloor heating with climate control for your comfort. With a direct link to London which takes 40 minutes on the train it is the perfect base to explore or relax in the countryside. If you want to find out what other people have said about Sweetings Wood Glamping, read the reviews on Sweetings Wood Glamping for more information. And, for those last minute bargains, have a look at some of the special offers available at Sweetings Wood Glamping. "Eco pod with one double and ensuite shower. Small kitchenette with hob, microwave and kettle. Outside terrace with seats and table overlooking a meadow, woods and countryside." Find out about Sweetings Wood Glamping, including prices and availability. There are 27 holiday parks within 35 miles of Sweetings Wood Glamping. Hillsbrook House in Sutton, Cambridgeshire, and sleeps 4 people. 45 miles. Randall Cottage in Yalding, Kent, and sleeps 3 people. 43 miles. Diablo in Castle Hedingham, Essex, and sleeps 10 people. 33 miles. Michaelmas Folly in Leighton Buzzard, Bedfordshire. 25 miles. Candy Cottage in Sittingbourne, Kent. 47 miles. The Grand Farmhouse in Dedham, Suffolk, and sleeps 22 people. 46 miles. Kingshill Farm Cottage in Great Missenden, Buckinghamshire. 27 miles. Wingate Cottage in Sevenoaks, Kent, and sleeps 4 people. 35 miles. Wagtail Cottage in Woodstock, Oxfordshire, and sleeps 2 people. 49 miles. Oscars Cottage in Huntingdon, Cambridgeshire, and sleeps 2 people. 40 miles. 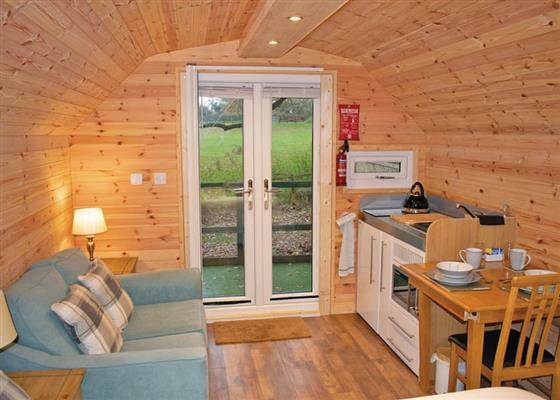 Dinckley Lodge in Abingdon, Oxfordshire, and sleeps 6 people. 48 miles. The Old Calf House in Chelmsford, Essex, and sleeps 6 people. 29 miles. Pierceys in Henley-on-Thames, Buckinghamshire, and sleeps 8 people. 38 miles. Spring House in Burwell, Cambridgeshire. 40 miles. Waterlake Byre in Edenbridge, Kent, and sleeps 6 people. 40 miles. Earls Cottage in Maidstone, Kent, and sleeps 6 people. 47 miles. The Brills in Aylesbury, Buckinghamshire. 29 miles. Grouselands House in Horsham, West Sussex, and sleeps 12 people. 48 miles. Woodside House in Stokenchurch, Buckinghamshire, and sleeps 14 people. 35 miles. Lyndhurst in Ely, Cambridgeshire. 47 miles. Eldred House in Colchester, Essex, and sleeps 16 people. 41 miles. Orchard View in Ely, Cambridgeshire, and sleeps 8 people. 44 miles. Hop House in Oad Street, Kent, and sleeps 14 people. 44 miles.